Last night our church had our first Ladies book club. 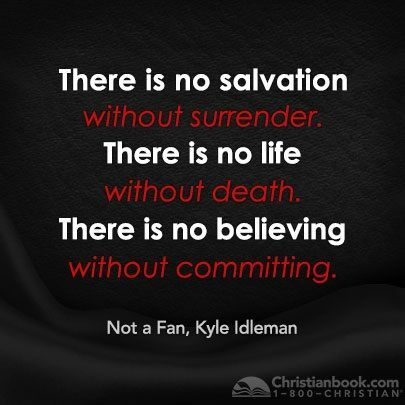 We’re reading a book called Not a Fan by Kyle Idelman, which I highly recommend, especially if you want to be challenged in going all out for God. He first starts off by defining the difference between a fan and a follower. Fans are not willing to follow Jesus if it means hurting those they love, such as family and friends. Fans want to share Jesus with other “things.” They want to compartmentalize Him and put Him in a little box to make them feel good about what’s really in their heart. We can’t mix Jesus with our fleshly desires. The list can go on & on and it’s different for everyone. But the point is, Christ has to be #1 in our lives, above everything…and yes, even above our loved ones, as much as that may hurt. 16 years ago, I made a decision to deny myself, take up my cross and follow Jesus. In this time, I’ve had my high times, where it’s been easy to “take up my cross” and follow Him and I’ve had my low times, to where taking up my cross was a very difficult thing to do…but I did it anyway. Just because we’re followers of Christ doesn’t mean we’re exempt from trials. Trials are a part of life, but I’d much rather go through it with Jesus by my side, that’s for sure! 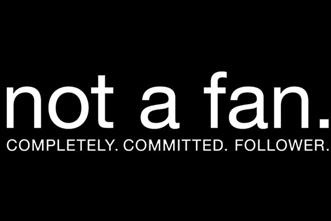 A follower makes a decision everyday to follow Christ. They are so committed that they are willing to die for Him. Am I really willing to die for Christ? To some, that may sound a bit radical, maybe because it is, but a Completely Committed follower won’t even give it a second thought. I choose to be a follower of Christ. To keep Him #1 in my life. To be the ruler of my heart. He is the Light to my Path, and wherever He leads me is where I’ll go. Where you go, I go. Where you stay, I stay. If you move, I move. I will follow you. 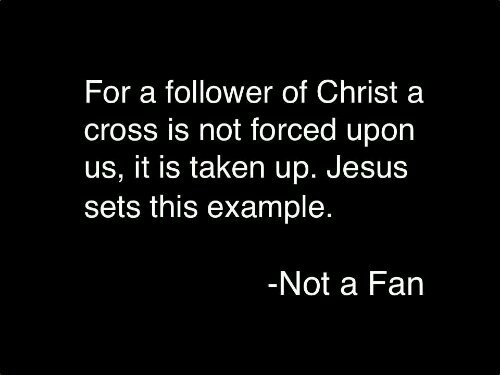 Jesus doesn’t want fans…He wants followers.